Platform: Gradius was released on a great number of systems. 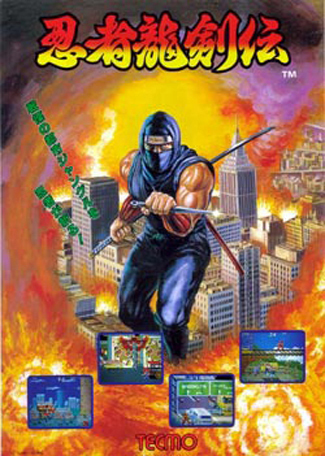 The most important of its original releases were the arcade version and the NES port, which was technically inferior but was the easiest way for most people to experience it. How to play it: These days, your best bet for playing Gradius is probably the NES version offered on the Virtual Console. It has some small changes to the level design, and you can only carry two Options, but the rest of the port is very faithful and quite impressive for the NES hardware. If you are purist and need the arcade version, you will have to track down the excellent Gradius Collection on the PSP. What it is: While not one of the very earliest shmups, Gradius is still something of a pioneer. Other games laid down the groundwork for horizontal shooters, and Konami’s own Scramble made variable terrain a threat. What Gradius gave us was weapons. By collecting powerups, the player could gain shields, missiles, more powerful guns, and tiny support craft called Options that mimick your fire. The weapons system is quite intricate; collect too few powerups, and you won’t earn the best weapons. Earn too many, and you may skip past them entirely. The order in which you choose your weapons can be as critical as how well you use them. Of course, Gradius was as iconic as it was innovative. The game gave us the birth of the Vic Viper, one of the most well known crafts in any shmup, as well as “Gradius style” death, wherein you lose all of your upgrades and have to start from a previous checkpoint. To this day this is considered a very harsh method of punishment, one that can make some levels almost impossible to complete. How does it play? : These days there are two ways to look at Gradius. First, it is missing some of the enhanced weapons and level complexity of its sequels, and thus is far too simple. The other is that the game is simple yet elegant. The sequels get a little overly complicated with their customized weapons setups, and their constantly increasing levels of difficulty do not mix well with the series’ increasingly archaic method of death. In Gradius these issues are less severe. In later games a beginning players may second guess themselves when having to choose a type of missile or shield to use. Here those same players merely figure out how best to use what they are given. I have also found that death is easier to recover from in Gradius versus its sequels. While it is by no means an easy game, there are only a few areas where smooth flying and rapid fire won’t see you through. Play the game twice a night for a few weeks and you should be able to find yourself getting to the third or fourth level with consistency. If you are new to horizontal shmups, this is one of the best places to start. – According to shmup terminology, Gradius is a “methodical shooter”, a style which does not use “bullet hell” waves of enemy fire, instead building challenge by using terrain and enemy movements to trick you into navigating into a well placed shot. Methodical shooters are said to rely on precise adjustments and memorization, and this is certainly true of Gradius. Some areas are almost impossible to navigate through if you cannot make a preemptive strike, and moving around too quickly is a sure way for a stray shot to come your way. – Despite being one of the most popular and famous names in the genre, the Gradius franchise is often criticized by modern players. It seems the series has focused on making each sequel considerably harder than the last, in order to keep the fanbase coming to the arcades. At the same time, it seems to have put less of a premium on presentation and accessibility, which may be why the first game still looks and sounds very good compared to its siblings. I’m only familiar with Gradius from its PS2 outing. I’m curious to know how far apart the games were in terms of release schedule (in videogame land 20 years is a long time to have only 4 sequels). Was it one of those series that came out at a fair clip during the 8 and 16 bit days only to enter hibernation for a decade until it’s glorious Emotion Engine return? TureTallus: The release years for Gradius 1, 2, 3, Gaiden and 4 respectively were 85, 88 89, 97 and 99. As you can see there is no real rhyme or rhythm to it. They were fairly close at first, then spaced out after something of a hiatus. Between the first three games and Salamander/Life Force, arcade players had a lot to work on for a while.